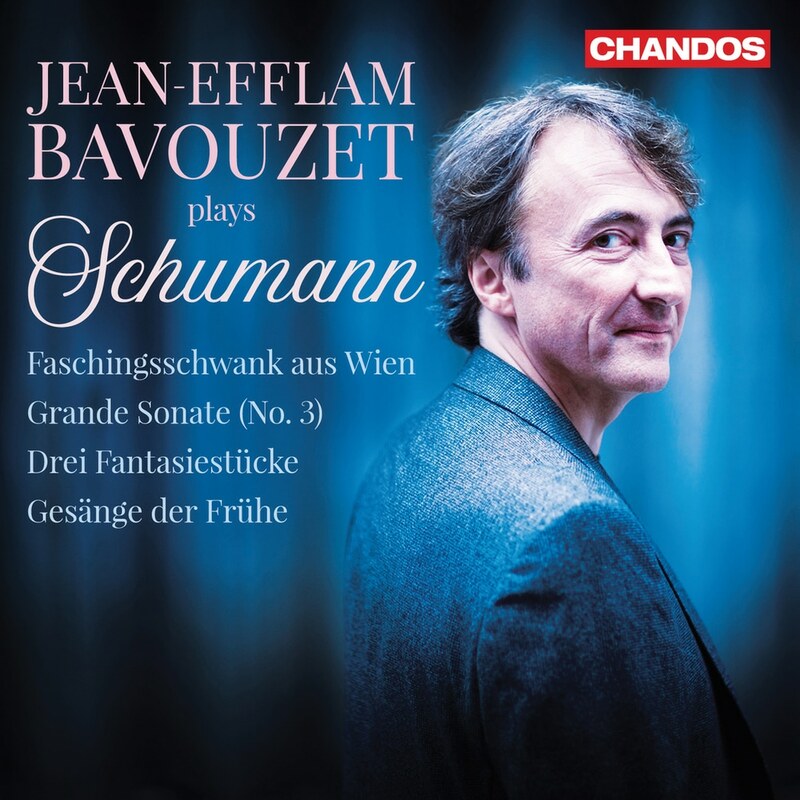 Following his recent acclaimed recordings of Haydn and Beethoven Sonatas, Jean-Efflam Bavouzet turns from the classical to the romantic era, and the works of Schumann. The programme is built around the Grande Sonate (No. 3). This impressive, large-scale work was originally composed in 1834, revised in 1853, and eventually premiered (six years after the composer’s death) by Schumann’s young protégé Johannes Brahms. Jean-Efflam first discovered the work through a recording by Vladimir Horowitz in the 1980s, and got to play the work to, and discuss it with, Horowitz in Paris in 1985. In two passages in the first movement, like Horowitz before him, Jean-Efflam combines elements from both the original and revised versions of the work on this recording. He has chosen to complement the sonata with another early work – the Faschingsschwank aus Wien – and then the much later Drei Fantasiestücke. He closes with the Gesänge der Frühe which was among the last compositions that Schumann wrote before his attempted suicide and confinement to a mental asylum in February 1854. As he does in all his albums, Jean-Efflam Bavouzet contributes an insightful personal performer’s note to the booklet.